14PC Piece SAE Standard Combination Wrench Set w Roll-Up Pouch 3/8" to 1 1/4"
Other Wilde Lock Ring Pliers & Sets HERE! A 90 degree Right angle tip for hard to reach areas. To top it off these pliers will have the smoothest spring back action of any Lock Spring pliers you have used and proudly made in the USA! An array of 16 combination wrenches let you slip in where the ratchet won't go. 6 extension bars to extend your reach. A magnetic handle for easy nut or bit installation. 175 screwdriver bits give you a nice variety. 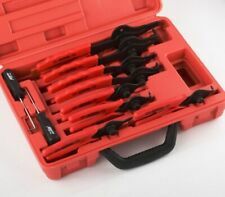 30pc Hex Key Set with Storage Case. Hopper Texture Guns. Punch Flange Tools. Pliers, Crimpers & Cutters. Allen, Hex & Trox Key Sets. Scooter & Bike Batteries. WEEKLY DEAL. Paint & Spray Guns. 1/2" Female to 3/8" Male. 3/8" Female to 1/4" Male. In retail packaging! Includes molded tray 21x14"x1.5"! Other Wilde Lock Ring Pliers & Sets HERE! To top it off these pliers will have the smoothest spring back action of any Lock Ring Pliers you have used. Proudly made in the USA! Want More Wilde Tools?. Dropping screws on the job can kill your productivity. This compact tool is great to have on hand when you need a magnetized screwdriver or bit. Easily attach it to your tool bag with the included stainless steel key ring. Plato 170 Specifications Plato 170 Total Length:125mm. 52g (per pliers). Cutter - 5.1 in (from cutter tip to end of handle). Total Length:125MM. Used in electronic industry repair, jewelry processing, model making and fishing, etc. 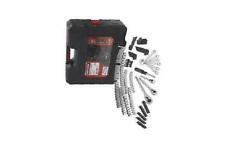 9 PIECE FOLDING ALLEN HEX KEY WRENCH SET. Includes most commonly used/needed 8 types of Hex keys wrench/Allen key wrench set. When you need the job done right, trust in thisCraftsman 1/2-in Torque Wrench. Featuring the strength of steel and the accuracy of a digital read-out, it tightens heads, manifolds and much more with digital accuracy. VonHaus 53 Piece Household Tool Set with Ratchet Wrench, Precision Screwdriver Set, Socket Set and Most Reached for Hand Tools in Storage Case. In addition to these popular household tools, the VonHaus set includes a number of precision drivers for small, intricate jobs. 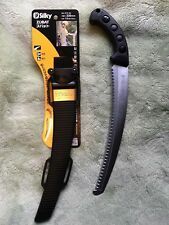 Jig Saw Blades. Large hard stamp identification. Turn down at base provides grip surface to pull sockets off ratchets. Entry angle guides fastener. Power Tools. It's defective or doesn't work. It's the wrong size or doesn't fit. 47PCS Screwdriver Bit Set Magnetic 1/4" Ratchet Socket Wrench Holder Bits DIY. Torx screw driver: T2, T5(H4x45mm), T6, T7, T8(H6.3x25mm). Slotted screw driver: 1.0, 1.5, 2.0(H4x45mm), 3.0, 4.0, 5.0(H6.3x25mm). Nicely contained in a hard-sided carrying case, this kit has everything needed for a beginner and would even pass muster with a discerning tradesman. 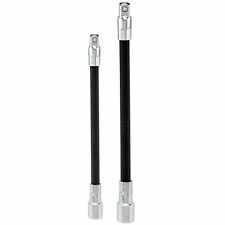 Heavy-duty handle and shaft exceed the torque performance of regular nut drivers. Nut Driver Sizes Hollow shafts (1/4", 5/16", 3/8", 7/16", 9/16") for driving nuts deep onto bolts or threaded rod. The must have gift for the Handyman, Do-It-Yourselfer, Husband, Father, Son, Boyfriend, Man or Woman. Chances are they don't have this! You won't know they needed a RAK Universal Socket until they have one! Drillforce 37 Pieces Screwdriving Set. DRILLFORCE is a professional enterprise for all kinds of drill bits and cutting tools. (6) Torx Insert Bits: CR-V 6.35x25mm 1/4" Hex Shank Impact Bits(T10, T15, T20, T25, T27, T30). T10 & T15 torx bits. 11 in 1 Cushion Grip Screwdriver. This versatile screwdriver includes. 1/4" & 3/16" slotted screw bits. 3/8", 5/16", & 1/4" nut drivers. #1 & #2 square recess bits. S-K SK TOOLS 1/2'' Drive 12 Point METRIC Standard Chrome Sockets - All SIZES! Heavy Duty 7" Circlip Pliers Set w/ Storage Pouch. Professional Circlip Pliers Set. 1 Pc - External Straight Tip. 1 Pc - External 90 Degree Tip. 1 Pc - Internal Straight Tip. 1 Pc - Internal 90 Degree Tip. This 11pc Snap Ring plier set with a plastic carrying case includes Hopper Texture Guns. Nail Guns & Nails. Truck, Trailer & Accessories. Scooter & Bike Batteries. WEEKLY DEAL. Tap & Die Sets. Bicycle Accessories. That's another job done with the help of Craftsman. 8 combination wrenches let you slip in where the ratchet won't go. 4 extension bars help extend your reach. Drive Socket Depth Socket Points Includes a 3-drawer case. This XZN Triple Square Bit Socket Set is perfect for use with breaker bars, torque wrenches, and ratchets. Square2Box is here for you! 1/4" Drive: 4mm, 5mm, 6mm. 3/8" Drive: 8mm, 9mm, 10mm, 12mm, 14mm (Tamper-Proof). Best Selling Mini Driver Set 3 Years Straight!! And is accurate to within /- 4%. Torque range: 20-150 ft. lbs. Product Length 18 in. 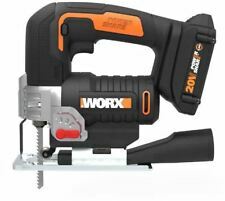 Access hard to reach screws with ease using the 20 in. 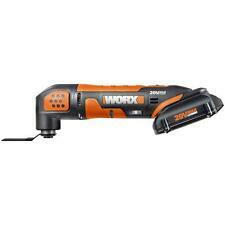 Experience strength in comfort with the HexTorque handle. 24 mm Standard Socket. Great Neck. With seven (7) tools in one unit, it's got everything you need for maintaining, installing, or repairing wire fences of all types! The shear type wire cutters easily and cleanly cut through and snip heavy gauge solid or braided wire. Irwin 3/8" Long Hex Key Wrench 86715 USA. Jig Saw Blades. Torx & Hex Keys. Saw Blades, Grinding Wheels. Paint Supplies. 7-1/16" Long. It's the wrong size or doesn't fit. Tool Storage. Channellock TP-5A. T092AB - T9 x 2-1/4". T072AB - T7 x 2". T082AB - T8 x 2-1/2". Precision torx screwdrivers made for the professional! 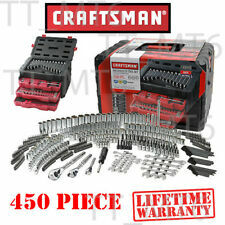 "Craftsman 230-piece 1/4, 3/8 and 1/2-Inch Mechanics Tool Set"
There are certain tools you need to have when cultivating your garden. These items will help you care for the vegetables, herbs, and fruits in your nursery. Using these tools can make your work more productive and a lot less tedious. Which tools are used to dig out dirt? Shovels - Shovels come in a variety of styles and designs. A common type has a blade like a spade. If the tips are pointed, you will find it a lot easier to dig out dirt. 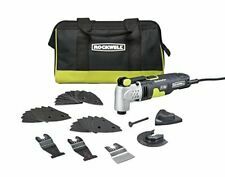 Trowels - These tools are also used to dig out dirt. They look like the miniature hand-held shovels that most people use to take care of their kitchenettes. They are used to dig small holes for the seeds and seedlings. What is the difference between a dibber and a trowel? A garden dibber is a sharp metal stake that is used to make holes of exact sizes. The holes made have specific depths and widths. The dibber can only be used to dig holes for seeds. On the other hand, a trowel is used dig holes for both seeds and seedlings. When buying one of these tools, keep in mind the items you want to grow in your space and purchase accordingly. What is a garden hoe? This soil-turning tool has been used for a very long time in gardening and is a versatile garden tool. Hoes come in different shapes and sizes. A common shape is the rectangular hoe. Cultivators look almost like rakes. They are usually designed to be hand-held. This tool is used to prepare the soil for planting. It is also used to turn the soil before anything is grown. This activity helps ensure that air and nutrients get into the ground. It also ensures that water penetrates the soil better. Anvil pruners - These have sharp blades that cut against the flat surface. They are normally used to prune wood branches and the stronger parts of the stem. Bypass pruners - These are more like scissors. They are commonly used on young and delicate plants. The tools have curved blades that make very clear cuts without harming the sensitive tissues.